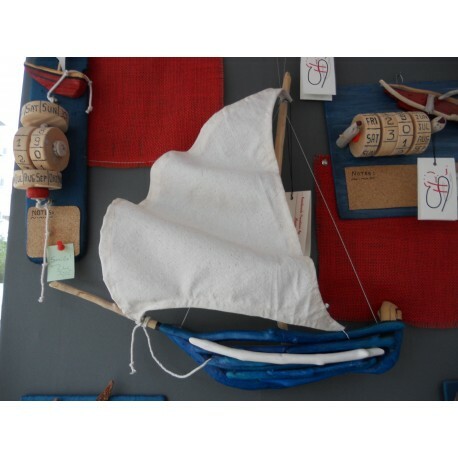 Greek traditional boat of the type “trechantiri"
In this artwork, the joining of the materials has been done with waterproof wood glue and wooden marlinspikes. The pieces of wood have been cleaned and disinfected with natural products. It has been made waterproof with water paints or water-based varnishes. The sails are made of canvas.